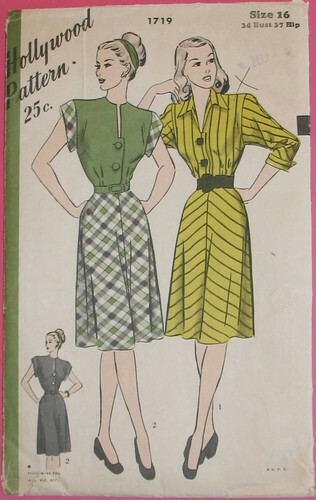 I feel like I have been cheating on my vintage reproductions lately with actual vintage patterns. But perhaps that is not such a bad thing . . . This pattern finally gave me the motivation to cut into a silk/cotton jacquard blend that I have been hoarding for years. Seriously! I have been pulling it out and staring at it for many years only to put it back, scared that I would ruin it, or at the very least, choose an unworthy project. But, it would seem, the fabric was just waiting for this pattern. Don’t you love when the perfect fabric shows up for the perfect pattern?! 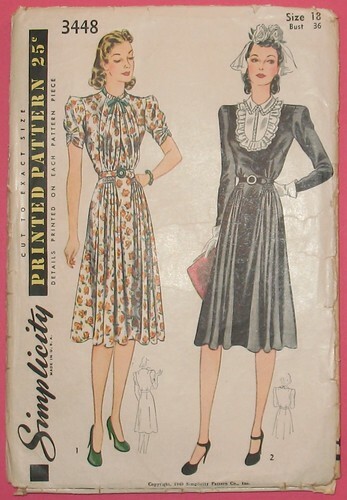 More pictures and construction info on Simplicity 3448 may be found over on my blog, Lilacs & Lace. 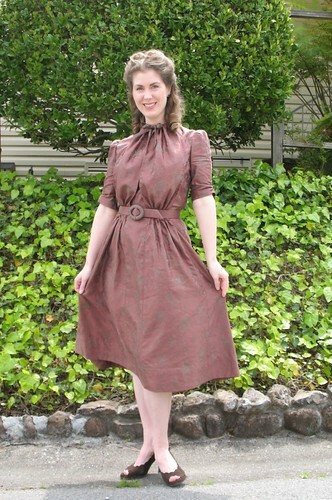 This Hollywood pattern is my idea of the perfect summer dress. I cannot wait to make a striped or plaid version and play with those bias cut pieces! But for now, this pink cotton print was just too perfect to pass up. 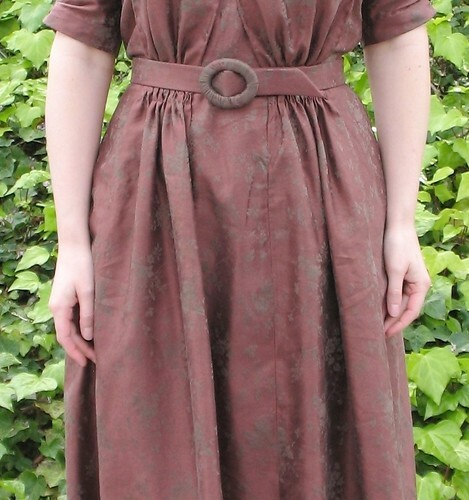 And now I must get back to my vintage reproductions – they are feeling very neglected. You are absolutely right! 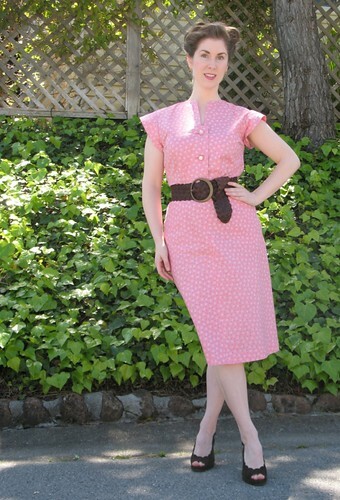 That pattern and the plummy fabric are a match made in heaven! Laura, this is perfect! I love all your pieces, such style you have, and such skill! I need to know something lil lady, when do you get to sleep the amount of outfits you make – you must be up 24 hours a day? Again, completely gorgeous (as ever).